Walking up Madison Avenue yesterday evening, my wife and I passed J. Press, the bastion of traditional men’s clothing. The store was closed, which removed any temptation I might have had to go in and buy something. 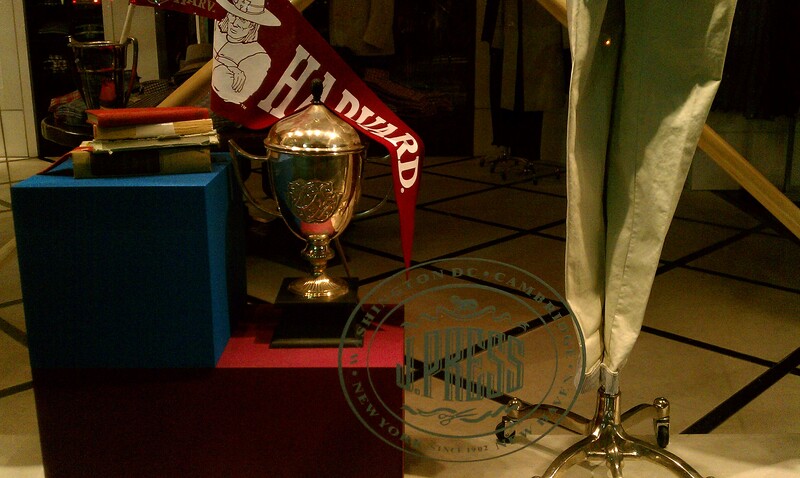 But we spent a few minutes looking at some of their spring offerings in the window displays. They’re making a big push for the “unconstructed” cotton jackets this season. I do plan to make a return trip soon to pick up a grosgrain ribbon belt with a D-ring buckle (already have one of theirs in wine/navy). I’d also like to get a bow tie to go with a linen jacket I found on a recent thrift expedition. Note the khakis below with the standard 1 3/4″ cuffs. 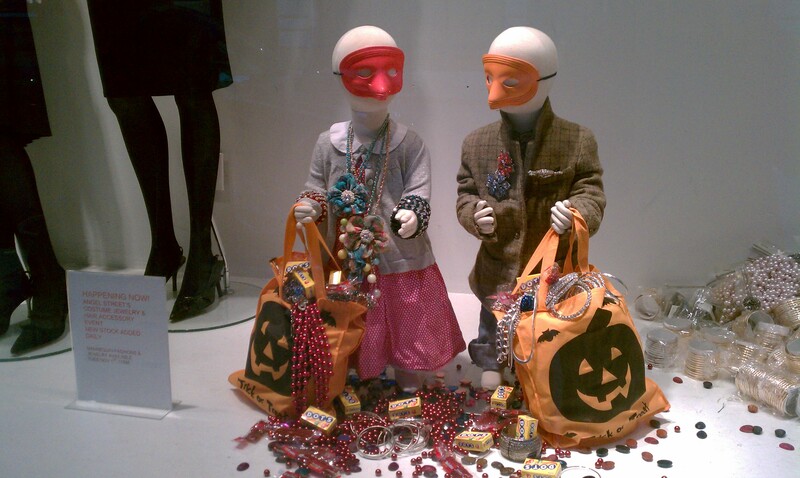 Angel Street in Greenwich Village has great holiday window displays, and they’re clearly ready for Halloween. 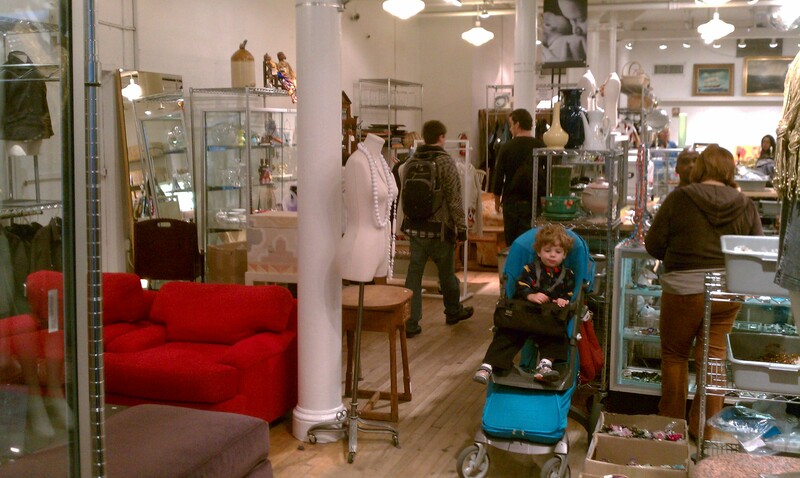 It is not your typical thrift shop. 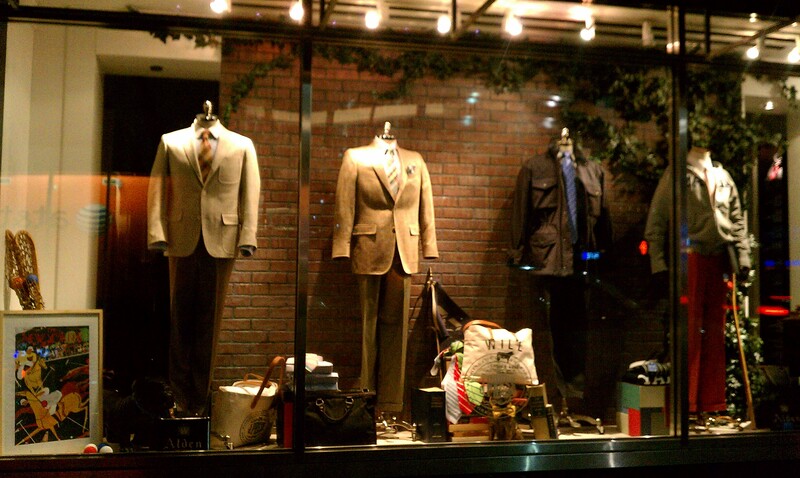 You’re just as likely to spot an Eames chair or some other mid-20th century piece of furniture as you are a Burberry sport coat or Brooks Brothers oxford cloth button down. There always seems to be some surprise. 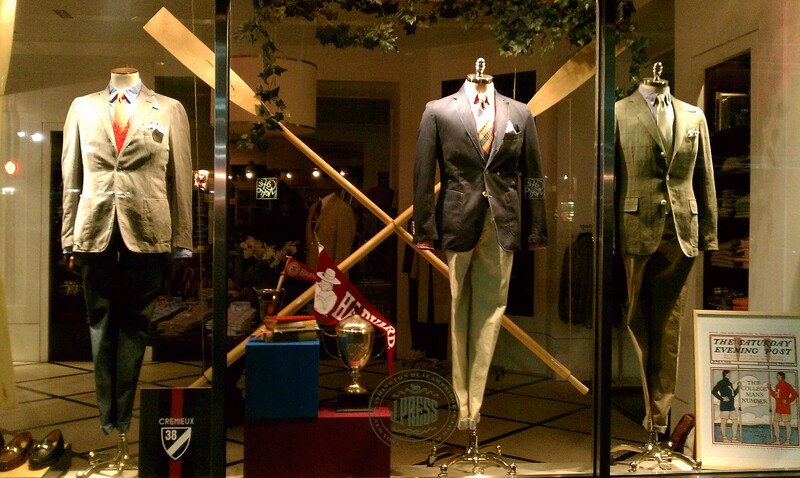 I once found a perfectly fitting gray chalk stripe Savile Row suit (Gieves & Hawkes) for $50.00. What are the odds on that? The New Yorker has dubbed Angel Street “a bargain hunter’s dream.” All proceeds from sales benefit innovative programs for individuals and families affected by substance abuse, HIV/AIDS and mental illness. 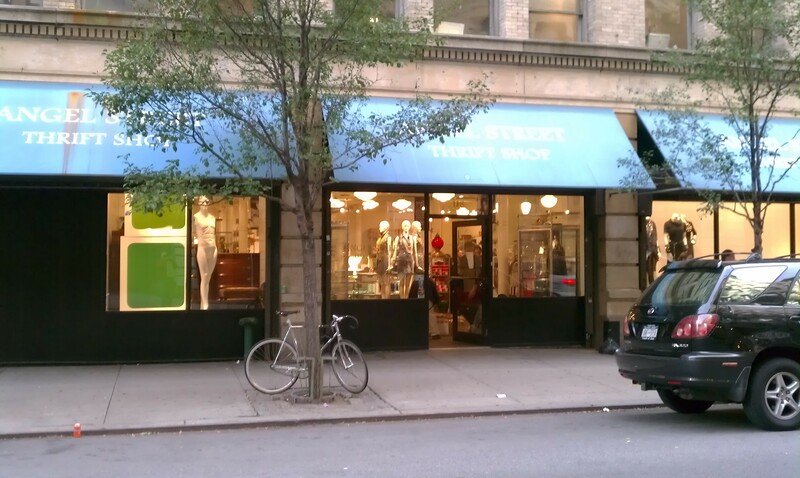 Angel Street is located at 118 W. 17th Street between Fifth and Sixth Avenues. The annual Village Halloween Parade, one of the most festive and well-attended in the nation, will be held on October 31st this year. It assembles at Spring Street to the south and progresses up Seventh Avenue to W. 17th, where it ends.